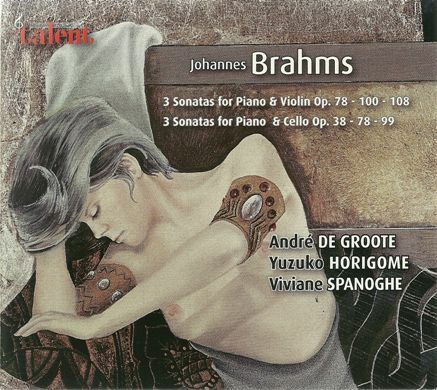 The latest CD of Brahms’ Sonatas for cello and piano by André De Groote and Viviane Spanoghe (Talent records) was released in 2011 - a crowning fermata for a specially intense partnership. Martine Dumont-Mergeay wrote in La Libre Belgique: " . . . Spanoghe's mysteriously transparent cello in an intense and surprising dialogue with the piano, with a summit in the Adagio of op. 99"